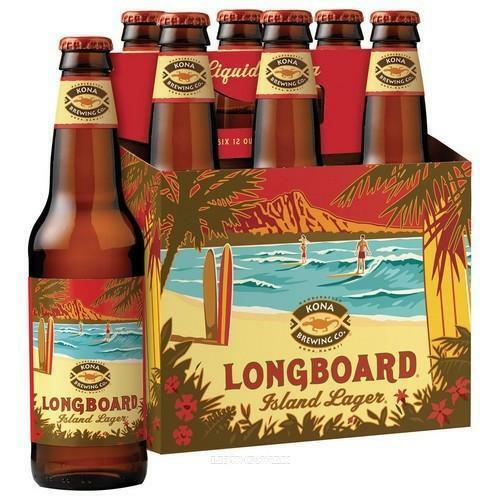 Longboard Lager really is made in Hawaii. The Kona Brewing Company churns out 190,000 gallons of beer a year, in fact, with a staff of six people. It’s amazing, then, that Kona beers seem to be so easy to find here in the States, at least on the west coast. Longboard is the company’s flagship brew (the company has five in bottles and more in kegs), and it’s a real winner. It’s a light, golden lager, with a nice blend of bitter, malt, and spice. There’s a nice aftertaste here that reminds me of a crisp Mexican beer: Flavorful but very refreshing. I was told at the Kona Brewing Company in Kona that the Kona beer in bottles is actually produced in Oregon at a micro brewery. The Kona beer (in kegs) in Hawaii is made in Hawaii though. Longboard reminds me of a better-brewed and slightly heartier version of a Japanese lagar (think Sapporo). It’s my go-to lager.